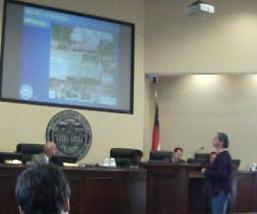 There is no public transit in Lowndes County, except for the tiny MIDS bus system (I like it, but it's small). 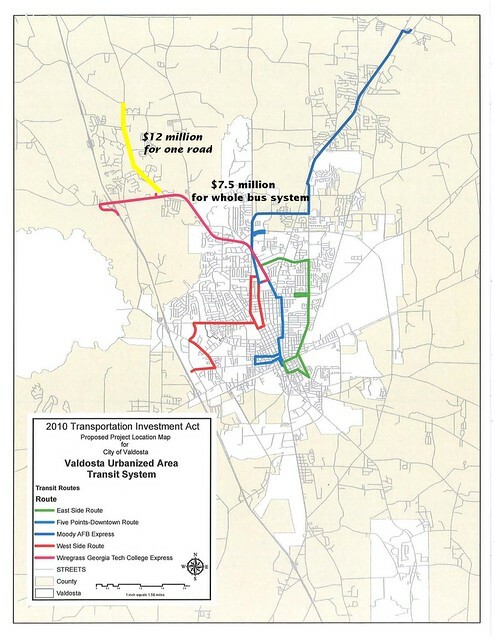 Meanwhile, the county proposes to spend more in a new sales tax to widen one road, $12 million dollars for Old US 41 North, than a bus system would cost, $7.5 million. One short stretch of road vs. a three-line bus system to connect Wiregrass Tech, Five Points, Downtown, Moody, East Side, South Side, West Side, and the Mall. This project will provide mobility options for all travelers; improve access to employment; and help mitigate congestion and maximize the use of existing infrastructure by promoting high-occupancy travel. Employment, safety, and less sprawl, all from a bus system. Over the past 15 years with the installation of Lowndes County Water and Sewer in this area, nine residential subdivisions, a private K-12 school, and numerous commercial developments have developed throughout this corridor. And it's not clear that sprawl like that will ever pay back enough in taxes from those businesses and new residents to pay back what taxpayers now would pay to widen that road. Oh, and the price tag for that road widening went up 50% from June to August. It was already higher than the price tag for the bus system before the road cost went up by 50%. Who are the real beneficiaries for that? And what are our priorities?